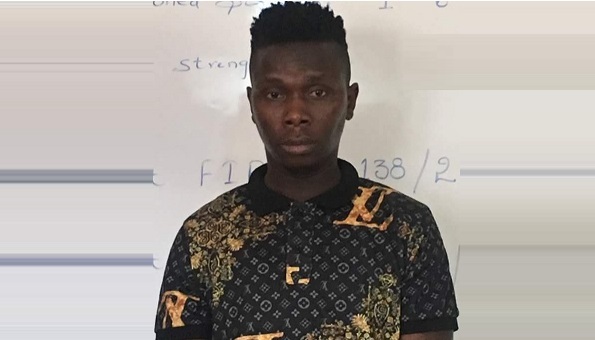 A Special team of Cyber Cell, Rachakonda, India on Monday, May, 14, arrested a 35-year-old Nigerian national identified as Osazee Russ Ediagbonya alias George Purnell in New Delhi for duping a businessman on a matrimonial site. Ediagbonya, from Edo State, made the victim to credit funds into some bank account towards customs clearance and other fees with false claims that the cash of 5,00,000 USD is said to be carried by him (accused) at I.G.I. Airport, New Delhi. The accused, who had been staying in Delhi since 2012 on a business visa, created a fake account in the name of Dr. Biya Babar on Shaadi.com matrimony website and convinced the victim that he is a female medical practitioner based in the United States. Ediagbonya, expressed his interest in marrying the businessman simply identified as Rao. During the whatsapp conversation, he informed him that 'she' will arrive to India on 14-03-18 to meet him. On March 14, 2018, an unknown person impersonating as customs officer called the businessman and told him that Dr.Biya Babar has been caught by the customs officials at IGI Airport, New Delhi who was carrying $ 5,00,000 USD and one other person citing himself as accounts officer, asked him to deposit money towards customs clearance, for which he has transferred a total amount of 2,22,000/- to the accounts provided by the accused to rescue the lady from them. But later he came to know that he has been cheated by them, hence he lodged a complaint in Cyber Cell, Rachakonda, based on his complaint a case in Cr.No.80/2017 U/Sec.417,419,420,468,471 IPC & Sec 66 C & 66D IT Act has been registered and investigated. 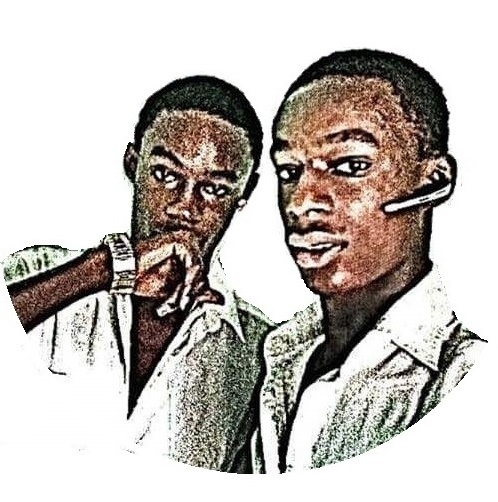 "The accused Osazee Russ Ediagbonya @ George Purnell @ Brown from Nigeria staying in Delhi since 2012 on the business visa for 3 months and with an intention to cheat the gullible people through matrimony frauds, posted a fake profile as ‘Biya Baber', expressed interest in the profile of the complainant and chatted with him as Dr. Biya Babar a medical practitioner residing in the U.S.A. Prior to Mar. 14th 2018, he mentioned that he would meet complainant in person. On Mar. 14th 2018, the accused on the name of Ms. Sushma @ Priya Sharma @ Suresh Gupta (Absconding) called the complainant as Customs Officer and made him to believe that Mr. Osazee Russ Ediagbonya was detained by them for carrying five lakh USD. For the release of such funds, he was asked to credit Rs.70,000/- in the bank account of Mr. Mike(Absconding) for Customs Clearance. On the same day again Rs.1,52,000/- was credited by the complainant for issuance of Anti-Terrorism Certificate and Anti-Money Laundering Certificate, which was said to be next step in the process for release of funds. The complainant was also shared with the Bank account details of Mr. Nadim Khan (Absconding). Though the complainant did not credit funds in it. The accused in the names of Ms. Sushma @ Priya Sharma @ Suresh Gupta using a voice modulation software called the complainant duping as RBI Officer asked for credit of Rs.1,15,500/- as last step, for credit of funds to the account of the complainant. Then the complainant got suspicious and approached the Police. During the course of investigation basing on the technical/electronic evidence, the hideout of the fraudster has been identified at South District, Delhi a team lead by Sri. D.Ashish Reddy Inspector, Sri. Anil Kumar Sub-Inspector and staff under the guidance of Sri. S.Harinath, ACP of Cyber Cell, raided the premises and arrested the accused Osazee Russ Ediagbonya @ George Purnell @ Brown, s/o. Ediagbonya, aged about 35 yrs, occ. Business - Garments Export, r/o. D.No.242, Khasra No. 11, near Kuber Building, Maidan Garhi, Mehrauli, South District, Delhi; who is a n/o. Benin city, Edo state, Nigeria. The articles seized are: (02) Laptops, (07) Mobiles Phones, (02) Internet Dongles, (03) SIM Cards used for commission of offence. The arrested accused sent to judicial custody. The case investigated by the Sri. J. Narender Goud, Sri. D.Ashish Reddy, Inspectors of Police assisted by the Sub-Inspector of Police Sri. S. Anil Kumar under the supervision of Sri. S.Harinath, Asst. Commissioner of Police, Cyber Cell, Rachakonda; and guidance of Sri. Nagaraj, DCP (Crimes), Rachakonda. Sri. Mahesh M. Bhagwat, I.P.S., Commissioner of Police, Rachakonda; appreciated the efforts of Cyber Cell, Rachakonda in detecting the case."